If you’re looking to get the benefits of working out with a water heavy bag then the Century Tidal Wave Hydra Core bag should be on your short list. This bag provides a realistic feel and gives you a great workout for the price. Since it’s self-filled you can vary the weight and it saves on shipping which lowers your overall cost. Rating: We’ve given the Tidal Wave HydroCore Heavy Bag a 5 star rating. There aren’t many negatives to the Century Tidalwave heavy bag. If you’re looking for a water heavy bag then you can’t go wrong with this one. 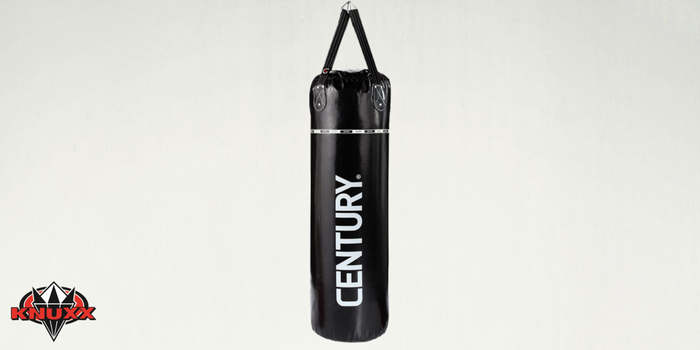 Century Tidal Wave Hydra Core Heavy Bag was one of the first water-filled bags to hit the market more than 20 years ago. It comes in Large and X-Large sizes – obviously the bigger bag has more water volume and therefore more weight. It’s made with a durable vinyl exterior that covers a foam layer combined with a water core. The X-LARGE bag is just over 52″ tall and has a hanging height of approx. 64″ and a diameter of 14″ when filled. The LARGE bag is 13.5 diam. x 42H in. The cover comes in a black and yellow design. It hangs from reinforced web straps, sturdy steel hanging chains and an included D-ring. It also comes with Century’s standard warranty against any defects in workmanship. The Hydrocore system is designed around a very durable water bladder at the center of the bag. When filled this brings the total bag weight to between 90 and 120 lbs. depending on the size. The bladder is surrounded by a layer of foam which is covered by a tough vinyl exterior. 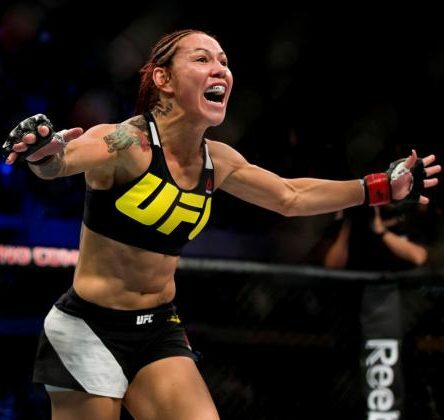 It’s designed to give the sensation of hitting a real opponent with just enough feedback and flex. Because it’s water-filled it’s considered a variable weight bag since you can control how much or how little water you add. This also makes this bag fairly portable because unfilled, it’s very light. Century has long used vinyl covers for their home gym line of products. With years of research, feedback and experience they have created a very durable and heavy duty vinyl that stands up to the abuse. The shell surrounds a thick layer of foam which surrounds the water bladder. This helps protect the bladder as well as gives you a supple punching surface. Four web straps are attached to the cover and are attached to sturdy steel chains and a 2″ ring for hanging. PROS: Water core is very responsive, variable weight, doesn’t fatigue like traditional heavy bag, fairly portable. The Hydrocore bag (sometimes call the Hydra Core) was one of the first heavy bags that got its weight from filling it with water. They basically created the Water Heavy Bag category. Over the years they have updated their logos, the look and the function of the Tidalwave line of bags but they continue stand out as class leaders for the category. All testers said that the feeling you get from the water core is very realistic and not painful. 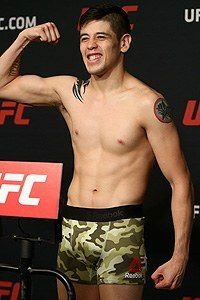 They said they were able to get a good workout and not feel the compression strain that you can sometimes get with a stiffer heavy bag filler. This works especially well if you’re looking for a bag that will give you a good cardio workout since you can punch for longer periods and not hurt yourself. Not only that but there are several users who report that this bag can be used outside without fear of the elements damaging it over time. It’s designed to keep water inside so it works pretty well outside too. But we have read that this could void Century’s warranty since it’s not specifically designed for “outdoor use”. The Tidalwave bag that was reviewed was the X-LARGE which is the bigger option of the line. We chose this one because we had some pretty experienced fighters punching on it during the testing session. We liked how the bag held up to the abuse. Filling the bag was very easy. You open the padded top flap so you can gain access to the bladder. A quick turn of the lid and the bag can be filled using a hose – or if you wanted, many trips using a pitcher! Pay attention when filling the bag so it doesn’t tip over. We recommend hanging the bag before filling it. This way it’s already where it needs to be and you don’t have to worry about lifting it up, hanging it or having it tip over. The foam shell that surrounds the bladder helps give the bag a very consistent rebound. We noticed that the punching experience was the same from the bottom of the bag to the top. And the vinyl cover was very durable and didn’t stretch or get disfigured after many hard punching sessions (albeit a little slick for some people). One thing that really stood out with this bag was the fact that it comes with a D-ring so you can tie it down from the bottom, and restrict it’s movement, which gives you more control when delivering combos, and kicks. 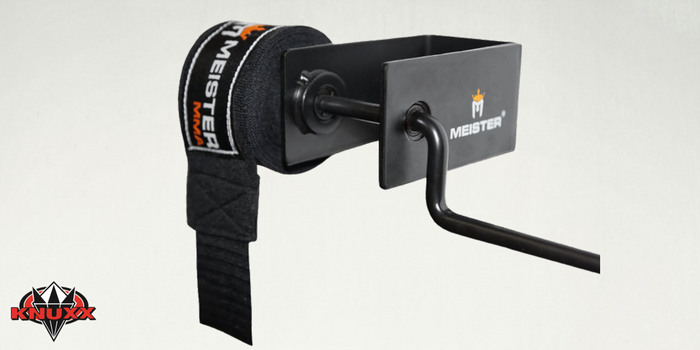 We recommend getting a weight specifically designed to tether to a heavy bag – otherwise it’s hard to control. The first is the fact that while this is variable weight, you can’t fill it too much more than the recommended max. If you fill the bladder the the top then there isn’t any room for the liquid to compress when you punch it and you run the risk of bursting the bladder (just like if you throw a full soda bottle against a gym wall… trust us, we’ve tried it!). That’s the other thing you should be cautious of – there are very few reports of this bag bursting, but it can happen. This bag has a polyethylene, or hard plastic, core which can handle A LOT of abuse. We’ve seen a water heavy bag burst in a gym and you can imagine how wet 100 lbs. of water makes a carpet (just to be clear, the water bag we saw break wasn’t a Century Tidalwave bag, it was a knock-off). But it can happen so be aware of that when choosing a place to hang it. 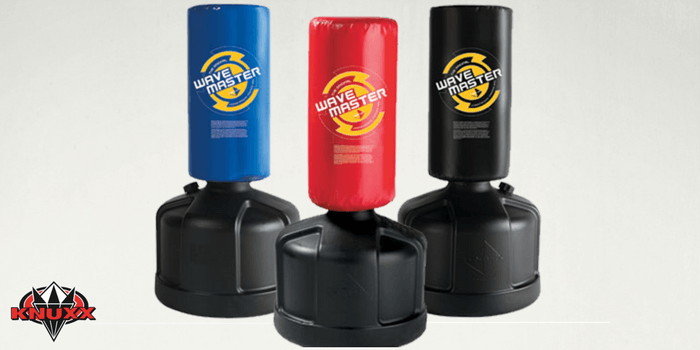 Who should get the Tidal Wave HydroCore Heavy Bag? Anyone who wants to have a dependable water heavy bag that doesn’t get rock-hard like some hanging bags do. This XL bag is big enough for 250 lb punchers but they’ll probably want to get the tether/weight for the bottom. Because the bag absorbs strikes so well it’s fairly quiet. You could possibly use it in an apartment if you had a heavy bag stand. If you don’t have a “safe” place to hang the bag then you might not want to risk it. But ruptures are rare so the risk isn’t that high. This is an individual product review for the Tidal Wave HydroCore Heavy Bag, if you want to read about the best Water Heavy Bags, then you need to check out our Best Heavy Bags Review. Click on any of the tabs below to get more details about the Tidal Wave HydroCore Heavy Bag.